Have you ever been shovelling snow and felt pain shoot down your leg? This may be a symptom of a spinal disc protrusion or herniation. Spinal discs sit between the bones of your spine (vertebrae), acting to cushion your spine and nerves against pressure from vertebral movements. If pressures are high, the central part of the disc may push out against the walls of the disc. Sufficiently high pressures can create a bulge, or protrusion in the disc wall. With excessive or repeated pressures, the fluid centre may even push outside the disc wall, like jelly coming out of a donut. A bulged disc can press on spinal nerves, sending shooting pains along its pathways, as well as numbness and loss of muscle strength. Symptoms can be so severe that they keep you from working, sleeping, or participating in recreational activities. 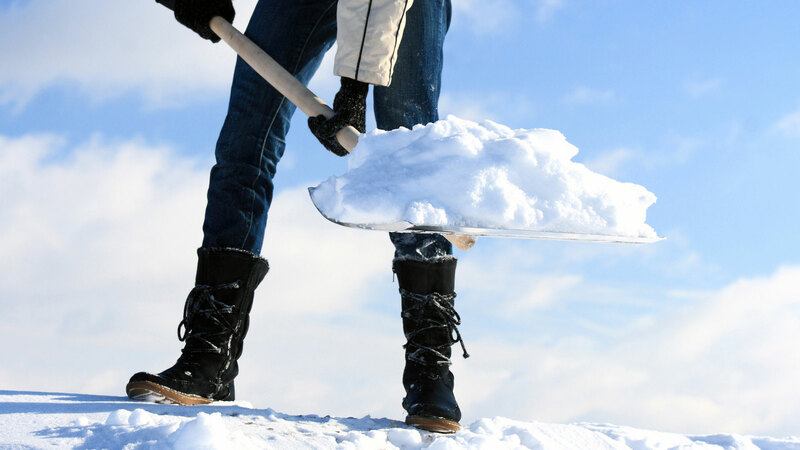 The most common causal movements include heavy lifting and twisting, like those involved in snow shovelling. Many disc protrusions can be effectively treated using a specialized form of Physiotherapy called the MacKenzie Method. Severe herniations, however, may require surgical intervention by either an orthopaedic or neurosurgeon. To minimize your risk for surgery, it is important to treat disc protrusions when you first notice symptoms, rather than to continue with your activities and risk a more severe injury. The physiotherapists at Keystone Physiotherapy are highly experienced in treating disc protrusions and herniations. All of our therapists are trained in the MacKenzie Method. We will work with you to resolve your symptoms. We will also give you the tools to prevent symptom recurrence. We offer early morning and evening appointments, allowing you to work around busy schedules. Call us today, to help your pain go away!